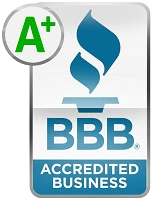 We mainly cover laptops and cell phones. That’s because Sell Broke as business focuses on providing a convenient solution for people selling laptops and other electronics. 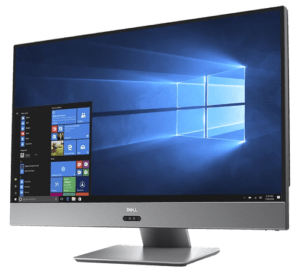 But there is always a need for desktops and All-in-One computing. This is a bit of a mouthful to say, but today we will talk about the Dell Inspiron 7775 All-in-One. 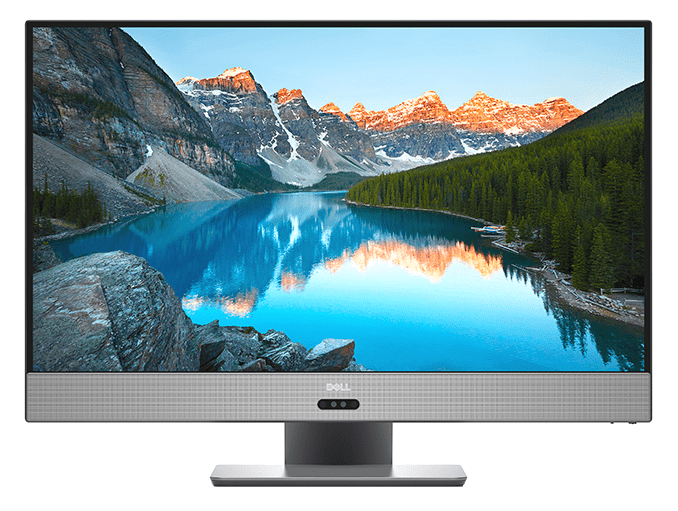 This is supposed to be the world’s most powerful All-in-One desktop computer. It is running a Ryzen 7, which is an 8-core CPU, and it’s pretty unassuming machine. It’s grey, it’s not black and red. It looks like a thick workstation display. All of the components are housed in the back, and it’s a pretty powerful system. It’s pretty easy to open up, it’s just two screws and this configuration is loaded up with the Ryzen 7 1700, 16GB of RAM and the RX 580 from AMD. It has room for an m.2 stick of storage and a 2.5″ SATA drive. Performance is where this system excels and any kind of application that can take care of a lot of cores is going to do great on the Ryzen 7. For single-core stuff, Ryzen 7 is really good, but it’s not the leader. For multi-core stuff these 8-cores do work. If you do any type of 3D modeling or rendering or math or science software, video or certain types of photo editing, this 8-core system is going to do incredibly well. It’s a bit strange to see a system like this just a crush a quad-core gaming system that’s running a 1080Ti. CPU cores are really important for a lot of applications. So, in terms of pricing, this thing starts at $1,000 USD. But the configuration we have is about $1,800, which is priced really well. 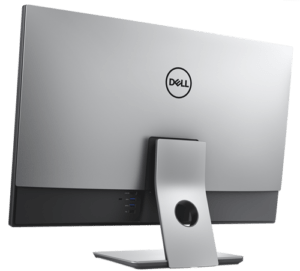 If you go to PCPartPicker .com, once you get all the parts, including a cheap 4K 27-inch screen, you’re looking at basically the same price and the Inspiron looks way more streamlined. In terms of gaming performance, you are not going to get smooth 4K gaming, but you’re looking at a very solid performance at 1080p. Light to moderately demanding games run really well. You won’t have any issues to keep it above 60 fps. Even if you bumped up to 1440p, most lighter games will still be over 60 fps. Something heavier like Division, even on ultra quality, is pretty close to 60 fps. It’s only really heavy stuff like GTA 5 and Witcher 3 that are a little bit slower. It’s not quite 60 fps, but it’s close. The RX 580 is a fantastic card for a kind of mid-tier gaming. If you want to stream or record your gameplay while you’re at it, this is a fantastic system for it because of the 8-core CPU. Since gaming performance is really about video card and not cpu we suggest buying a gaming computer instead if that’s your main concern. 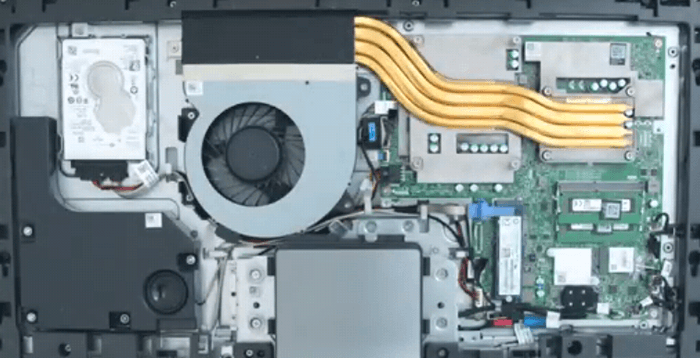 The fans are very quiet when idling, but even under heavy load, they don’t get that loud. I feel like they could have bumped up the fan speed a bit for just better thermal performance, but, overall, it’s a pretty quiet and properly cooled system. In terms of ports, you’re looking at seven USB ports, one of them is a Type-C. There is also an HDMI in and out, so you can plug up a console to this thing to use the screen. There’s an SD card reader and a headphone jack. 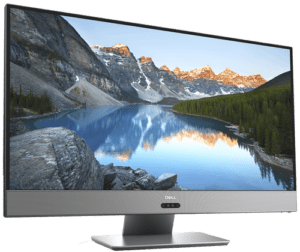 This 27″ Dell All-in-One computer has a very good display. The 4K option is really nice. 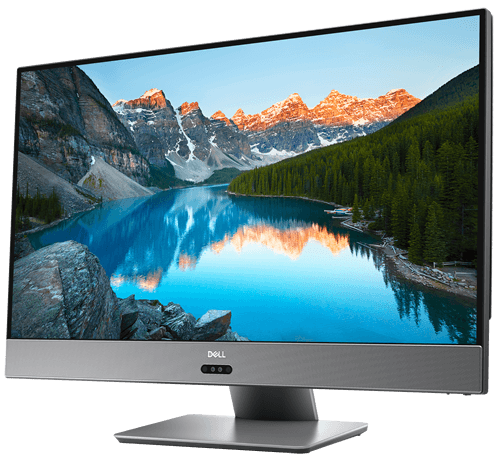 Cheaper variant has 1080p, but the 4K IPS panel gets pretty bright at 350 nits. It also has a really nice color gamut, and, after you calibrate is, color accuracy is on point with a sRGB rating of 99% and Adobe RGB rated at 81%. It has a matte finish and it is not touch sensitive. It’s a great screen for content creation and for casual gaming. Our favorite feature about the screen are the bezels. They are super thin and it just keeps the entire product looking sleek. It actually makes the product look more expensive than it actually is. The build quality is pretty good. It’s made mostly of plastic materials, but they are well-made. The paneling feels solid and the design is simple, but it’s clean. There are other All-in-One products made by Dell in the XPS lineup, and those are a much more premium version. It has more expensive products, but it doesn’t look as nice as this Dell 7775 does. This is simple, it’s not super fancy but looks good. The speakers are located on the bottom, one on each side and they are pretty good, not amazing, but adequate. 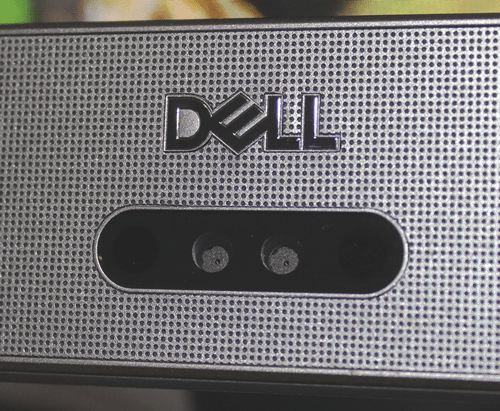 Personally, I was hoping for some really awesome speakers because they have a little more room to work with, but Dell apparently didn’t see the value in upgrading them. The lower frequencies are decent with the subwoofer that’s located in the back. The webcam is located on the bottom and supports Windows Hello for quick logins. Image quality isn’t great, and, since it’s located at the bottom, it’s not a great angle since it looks up your nose. However, being located on the bottom it keeps the bezels thin. The system comes with the wireless keyboard and mouse, and they rely on a dongle for the connection. The keyboard is actually really nice, way better than I thought it would be. It has good key travel, great layout, and the wireless connection is really solid. The mouse, I don’t like. It has a shape, kind of like the Microsoft Arn mouse, which I’ve never been a big fan of, but it just feels cheap. It’s too light and the ergonomics are not good for me. In general, I really like this system. There are a couple issues though. First, I don’t like the GPU isn’t upgradable. Everything else in there is: the CPU, the RAM, and the drives. Everything in this machine can be replaced, except the GPU. I understand that the target demographic os for content creators and for casual gaming, an upgradable GPU isn’t that important because you’re not switching them out that often, but, it would have been nice. If this Dell did have an upgradable GPU, it would be a lot cooler. Another thing I don’t love is the tilt of the stand. It has tilts, but there is no rotation of height adjustments, and if you have a crazy setup going on, you may miss the lack of height adjustments. The last thing is that it lacks a Thunderbolt 3 port. 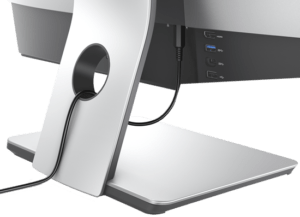 Now, I know this is not a super expensive system, but a Thunderbolt 3 port would have added a lot of expandability and the user upgradability. Other than those few cons, this 27-inch All-in-One computer is very clean looking with great performance and a very reasonable price tag, The feature that makes this unit so special is the 8-core CPU. Dell was able to fit something this powerful into a form factor like this. They are the first people to do it. 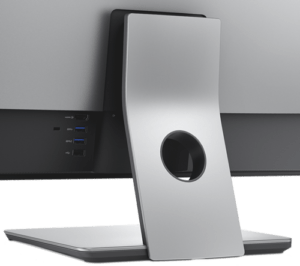 I am sure more companies will do it soon and Apple has their iMac Pros coming, but they will be considerably more expensive.